The crepe was surprisingly delicious, and a filling meal. The crepe itself was warm and spongy, with well seasoned ingredients. The ricotta was slightly melted, and smothered the spinach and mushrooms for a rich texture. Sitting at the large window, eating my crepe and reading a copy of Edible Brooklyn, I was quite content. 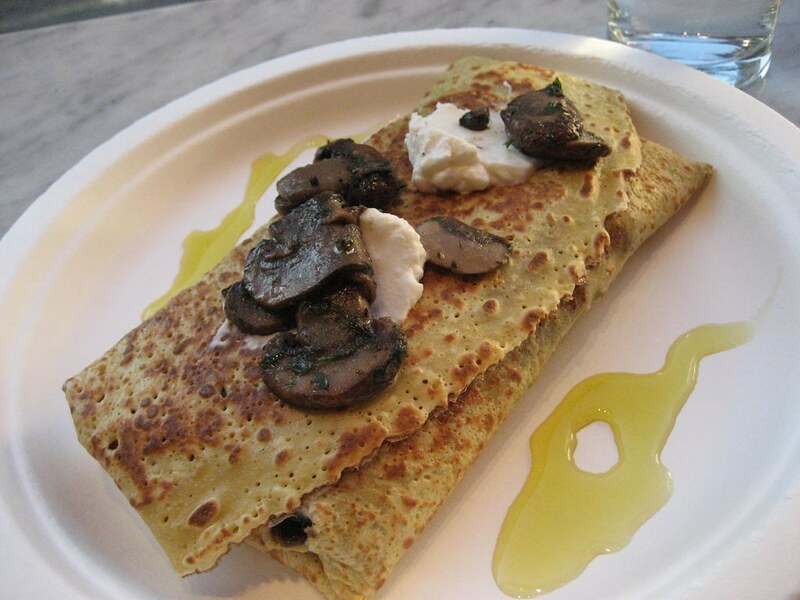 Crespella makes both sweet and savory crepes, and also has a nice selection of Italian pastries. For several months now, the Cupcake Stop truck has been parking on 7th Avenue between 5th & 6th Streets, so I guess there was a need in the neighborhood for cupcakes. 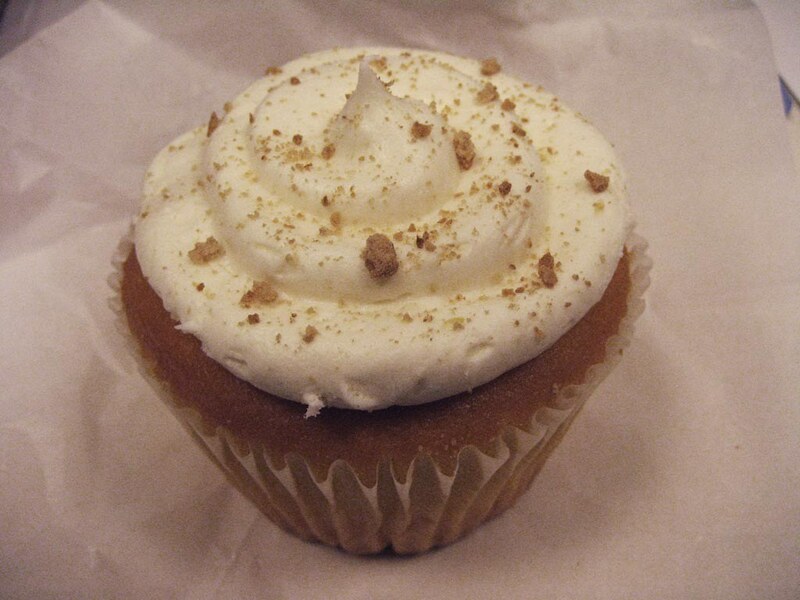 Enter King of Cupcakes, Park Slope’s first cupcake bakery. They have a huge selection, in several sizes, so it took me a few minutes to pick one out. I decided on the cheesecake cupcake, the normal size (which was just over $4). The cream cheese frosting was the only cheesecake-like part of it — the cake itself tasted like standard vanilla cupcake. It wasn’t bad, just kind of boring, and it reminded me why I don’t care about cupcakes. The 7th Avenue of Uncle Louie G usually closes during the winter, since ice cream doesn’t really sell when it’s cold out. 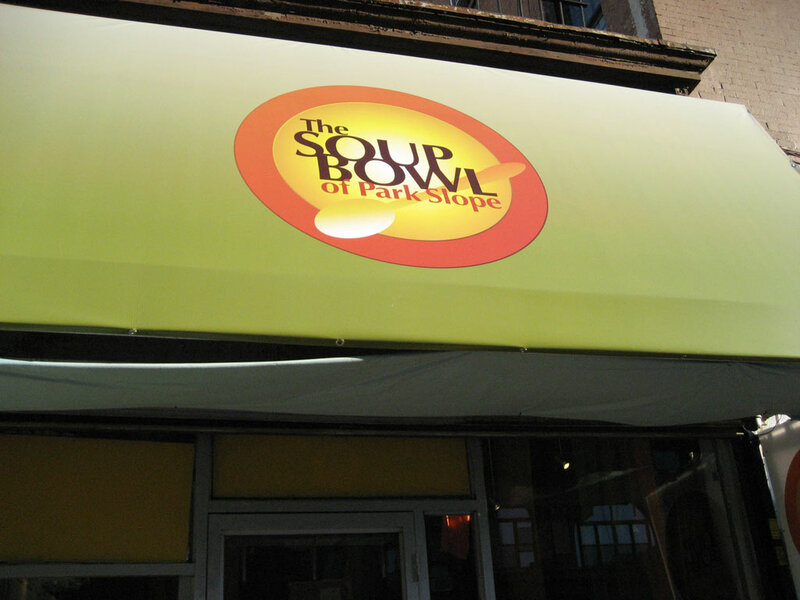 This year the space has converted to the Soup Bowl of Park Slope, with homemade gourmet soups. Lia’s Ices near where I live tried the same thing, and they recently went out of business, so let’s hope the same thing doesn’t happen to Uncle Louie G. I wasn’t feeling very well a few days ago, and it was cold and rainy, so I decided soup was the way to go. The Soup Bowl has a lot of vegetarian selections, and I decided on the roasted vegetable soup. I didn’t have very high hopes when I saw the brown mush that was ladled into my bowl, and the reason I didn’t take a picture of it was that it was less than photogenic. I grabbed a few packets of salt and pepper, because in my experience restaurant soups are usually under-seasoned. In this case, however, the soup was really well seasoned. The only vegetable I was definitely able to discern was broccoli, and I don’t think it was actually roasted, but the soup was very good. So I’ll probably be back to Crespella, and I’m interested to see what other soups the Soup Bowl will have that might interest me. I’ll be skipping the King of Cupcakes, but if you like that kind of thing you should probably give them a try.